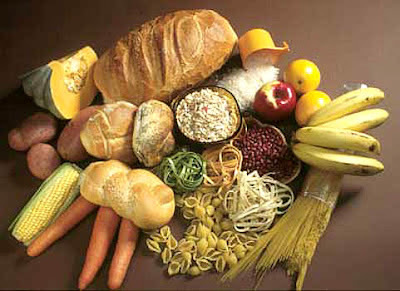 Vegetables, fruits, grains reduce stroke risk in women ~ Health Matters Today! "Eating antioxidant-rich foods may reduce your risk of stroke by inhibiting oxidative stress and inflammation," said Susanne Rautiainen, M.Sc., the study's first author and Ph.D. student at the Karolinska Institutet in Sweden. "This means people should eat more foods such as fruits and vegetables that contribute to total antioxidant capacity." Oxidative stress is an imbalance between the production of cell-damaging free radicals and the body's ability to neutralize them. It leads to inflammation, blood vessel damage and stiffening. "In this study, we took into account all the antioxidants present in the diet, including thousands of compounds, in doses obtained from a usual diet," Rautiainen said. Researchers collected dietary data through a food-frequency questionnaire. They used a standard database to determine participants' total antioxidant capacity (TAC), which measures the free radical reducing capacity of all antioxidants in the diet and considers synergistic effects between substances. Researchers categorized the women according to their TAC levels — five groups without a history of cardiovascular disease and four with previous cardiovascular disease. For women with no history of cardiovascular disease who had the highest TAC, fruits and vegetables contributed about 50 percent of TAC. Other contributors were whole grains (18 percent), tea (16 percent) and chocolate (5 percent). "Women with a high antioxidant intake may be more health conscious and have the sort of healthy behaviors that may have influenced our results," Rautiainen said. "However, the observed inverse association between dietary TAC and stroke persisted after adjustments for potential confounders related to healthy behavior such as smoking, physical activity and education." "To the best of our knowledge, no study has assessed the relation between dietary TAC and stroke risk in participants with a previous history of cardiovascular disease," Rautiainen said. "Further studies are needed to assess the link between dietary TAC and stroke risk in men and in people in other countries, but we think our results are applicable."